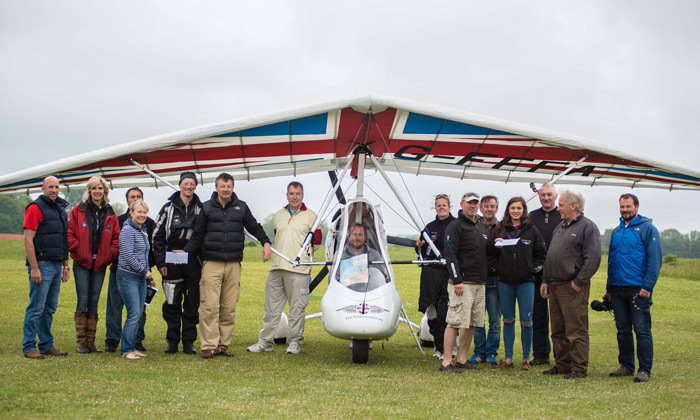 A team of wounded service personnel on an epic flight around Britain. These are the first disabled pilots to navigate the British coastline in a fleet of microlights, whilst raising awareness of the military charity, Flying for Freedom. Above the knee double amputee Capt. Luke Sinnott is leading this unique challenge, which has demonstrated how flying creates a sense of freedom for those with physical disabilities and will inspire other injured or wounded servicemen and women to learn to fly. The five microlights departed from Cotswold Airport last Saturday and will fly a 2000 mile route over 14 days. Each microlight will carry two people and is being supported by a ground team travelling by road. The team plan to make over 20 stops and land at some of the UK’s most historic airfields, they aim to return to their Gloucester base on the 20th of June. Capt Sinnott qualified as a microlight pilot in 2014, training in Flying for Freedom’s modified flex-wing microlights. 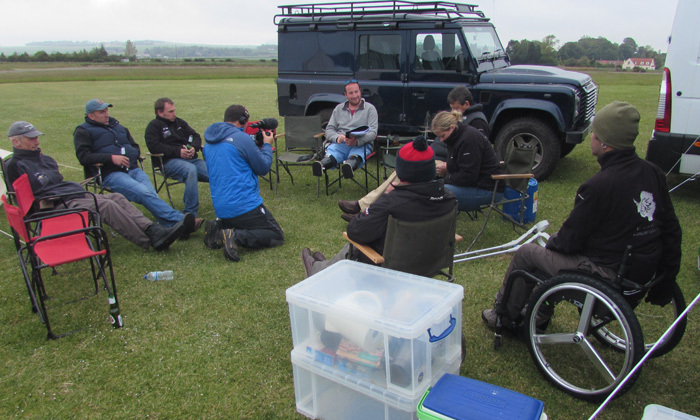 He planned the trip to highlight the importance of post-injury activities as part of a long-term recovery programme. He said: “I lost my legs searching for IEDs in Afghanistan. Before the explosion I had been very active, playing rugby and sailing, so I needed to find something else to focus on. I had always wanted to learn to fly and Flying for Freedom gave me that opportunity. When I fly I am free from my disability and on equal terms with able bodied pilots. The route is a true test of endurance due to the nature of the terrain the microlights will be flying over. Each pilot has overcome a life changing disability, caused by injury or sickness, to join the pilot programme funded by sponsorship through and public donations Flying for Freedom. Flying for Freedom is partnered with Help for Heroes and supported by the Endeavour Fund, founded by the Duke and Duchess of Cambridge and Prince Harry, Airbus Military and Lord Digby Jones of Birmingham. UPDATE – The team successfully completed their challenge on the 15th of June after 9 days, having flown over 2,000 miles around the UK. At Trig Avionics we are passionate about aviation and aim to provide the best avionics for GA pilots. By providing us with your details below we can keep you up to date with product developments, industry information and Trig news. Trig Avionics will not share your details with any other parties. What type of aircraft do you fly? What category of aircraft is it? What Trig products are you interested in?